We have a client in Rimont, a hamlet resorting under the commune of Fley. On our way to this client we always pass through Fley, and we have visited the church there several times. The first time we had made some pictures of the outside, but in front of the door that was open was mounted a grill, in order to be able to look inside. However, it was not possible to make a proper picture of the interior. During a second visit, this time on a Sunday, the grill was still locked. That churches are closed on Sundays is not as exceptional as it seems. 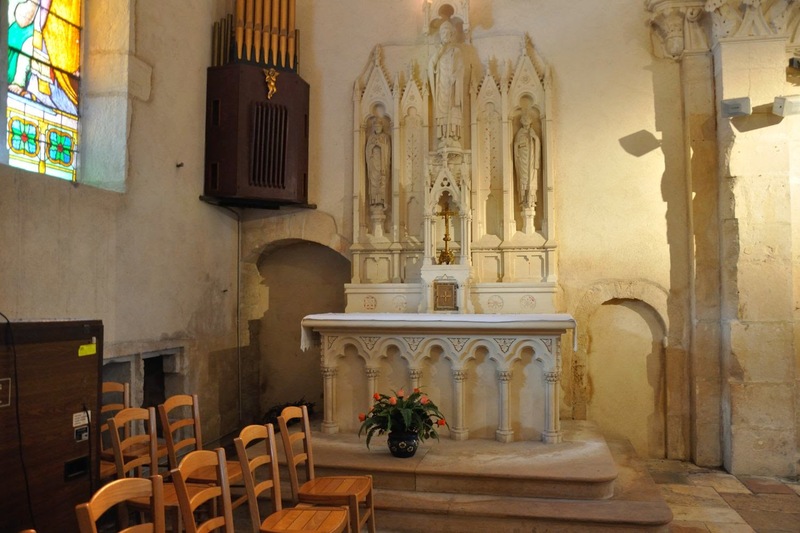 The secularization in France has been progressing quickly lately, and some priests are serving a group of between 10 and 20 former parishes. 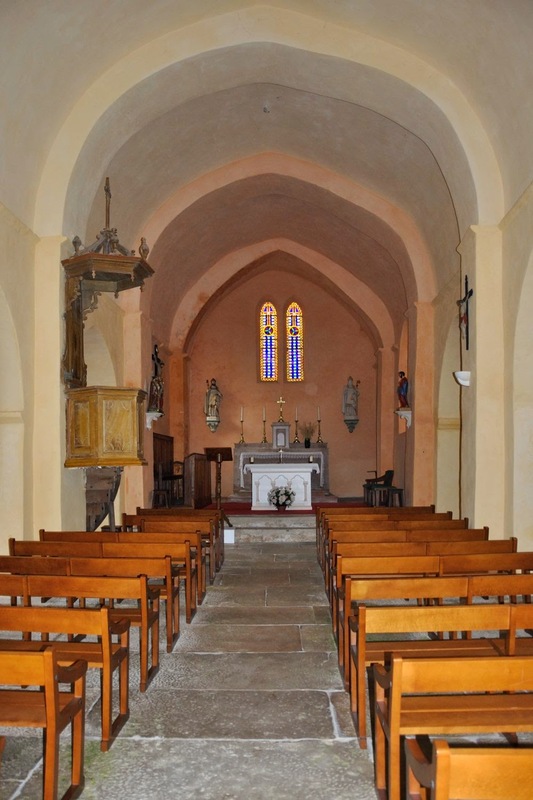 In Chazelle for example, mass is celebrated only twice a year; in bigger villages of the parish this can be a bit more often. There are a few possibilities to visit a church other than for a service. This is not a scientific overview, but it seems to be pretty near the truth. 1. The church is opened daily by the sexton, if only to air it and get rid of some of the moisture, a real problem in a lot of churches. Fortunately this is the case with most churches around here. 2. The church is locked every day, and the key is with the mairie. In some cases someone from the mairie opens the church door when the mairie is open (which is often only some hours per week). It is always wise to check the door before one marches into the mairie. 3. The church is locked every day, and the key is with the mairie. When one asks for it, one gets the key, or, if they do not want to give the key to a stranger (this is quite rare), the key holder will be phoned or one gets name and phone number of that person. In the latter case one has to contact this key holder. In Fley we encountered a fourth, and quite different possibility. The mairie is only open on Thursday afternoon, and two hours late on a Friday afternoon. When we passed by two weeks ago and asked for the key, we got no for an answer. The secretary was rather amazed that we asked for the key in the first place, and refused to hand it over to us before she had consulted the mayor. She was going to phone us as soon as the key was available for us. After we left our phone number at the mairie we went home, a bit disappointed though. The next week we received a number of phone calls, but Fley did not call once. Reason why, two weeks later on another Thursday, we in our turn phoned the mairie in Fley. The same lady answered the phone, and this time the answer came as a surprise: “Of course, the key is on my desk, waiting for you to pick it up”. Fley is about half an hour from here by car, so we were there in no time. The mayor happened to be there too, he welcomed us very friendly, and while the secretary gave us “the” key he disappeared into his office. Of course it would be fascinating to find out why we were send off the first time, and why we were helped (albeit in 2 stages) the second time. My theory is that the inhabitants of Fley had chosen a new mayor during the elections in March (however, this is a fact), and that this mayor appointed a new secretary. She had no idea how this whole key business was supposed to be handled, and since hardly anybody ever wanted that key anyway she decided to send those awkward strangers off empty handed, thinking that these foreigners would never come back. The fact that the mayor happened to be there that afternoon, might have helped a bit as well! 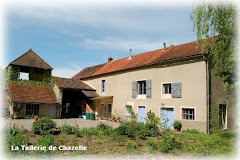 If the church of Chazelle happens to be locked one day, the proprietors of La Tuilerie de Chazelle know where to find the key, and that is not inside the mairie! In my previous blog I mentioned that the churches and buildings around Chagny which we visited during our last quest were not very spectacular. Having said that, the landscape around Chagny is very pretty, partially located in the vineyards of the Chalonnais and already bordering those of the Côte d’Or. And since this blog is not necessarily restricting itself to the “great” churches I would like to elaborate a bit on the previous trip. The “Cellier aux moines” in Givry for example looks out over these vineyards, possibly those belonging to this domain. The parcels of land here have not been consolidated, and when you think about it this is not illogical. Every bit of soil here has its own characteristics, and one parcel might produce a Grand Cru, while the neighbouring parcel is only producing 1er Crus. A parcel of vineyards is definitely quite different from a parcel of meadow in a Dutch polder. 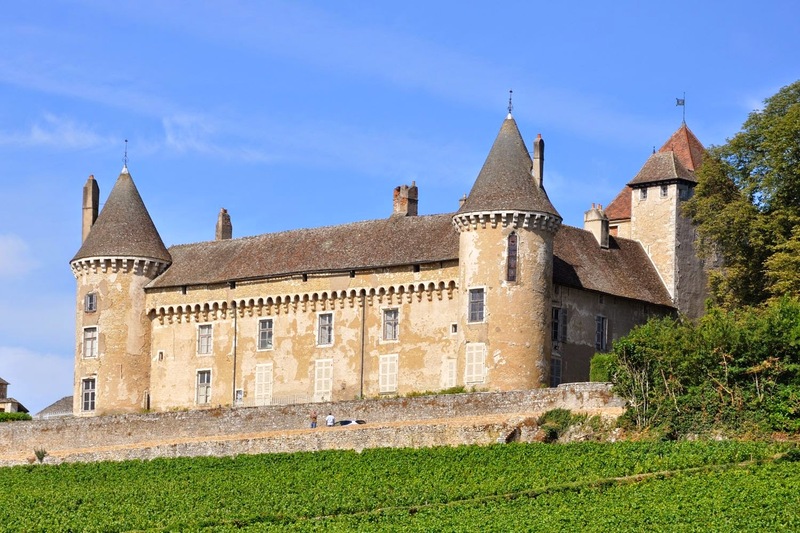 The Château de Rully is not just a mediaeval castle, it is also a wine château. It is beautifully located amidst the vineyards, and in July and August they accommodate individual visitors at € 8.00 pp. 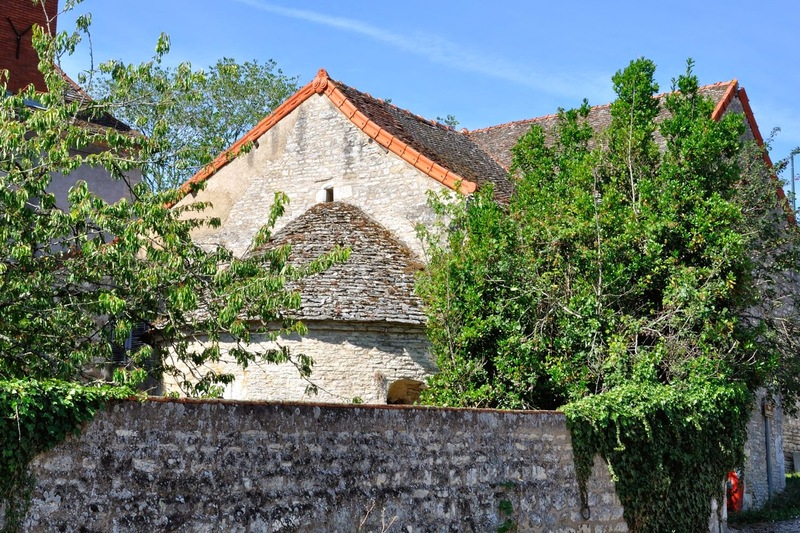 The hamlet of Agneux forms almost an integral part of Rully, and has a little chapel. 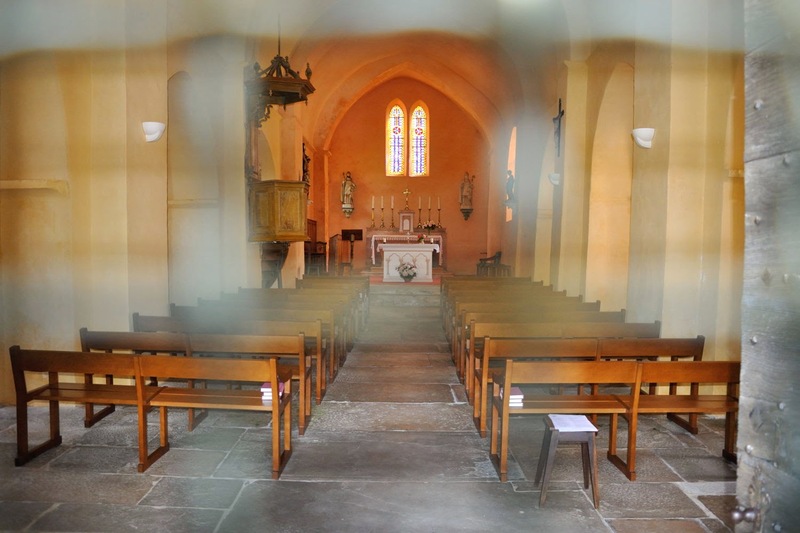 The chapel is in private hands, hence cannot be visited. 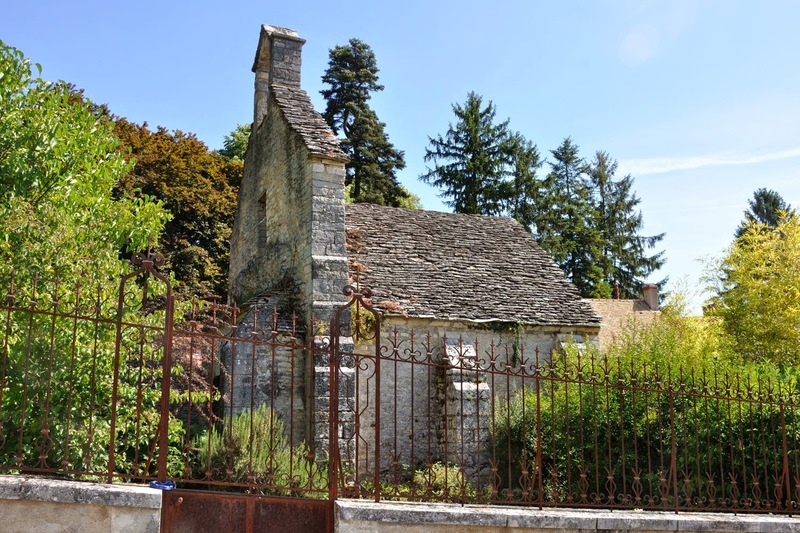 However, it is visible from the road, and although neither Agneux nor the chapel are easily to be found, why not pop by when one is in the vicinity? 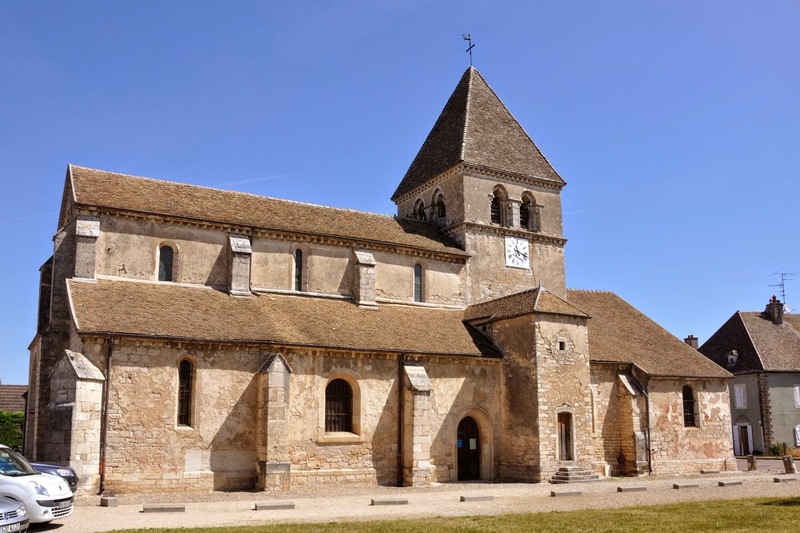 Churches which are undoubtedly entirely Romanesque can be found a stonethrow away from La Tuilerie de Chazelle. 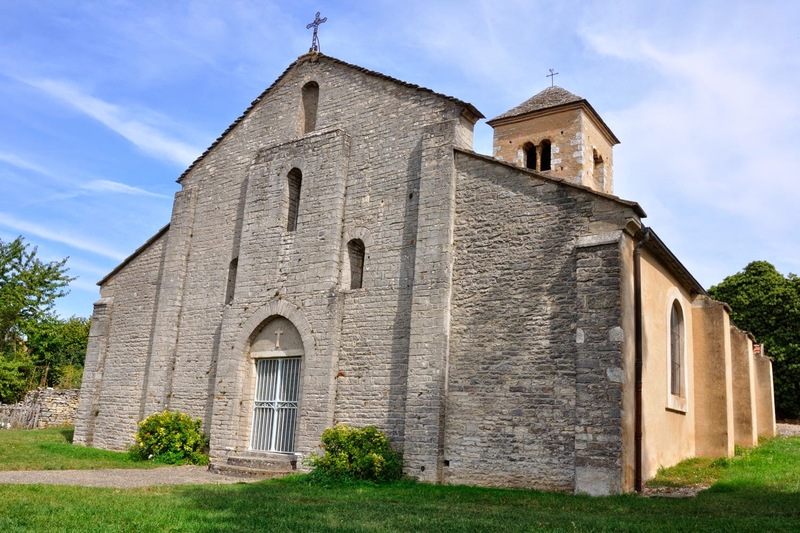 As mentioned earlier, the time has come to slowly start making up the balance for the Romanesque churches in 71. To ease searching a bit I have created a map which has been cut down to the bone. It contains only the churches still to be seen, including opening times and phone numbers of the town halls. The amount of churches still to be visited is manageable. They are mainly 3-star churches of which I have not yet seen the interior, similarly a few 2-star churches, and last but not least a handful of churches, chapels or buildings for which no assessment has been made yet. On top of that there are only a few 3 or 2 star churches which I have not yet visited at all. Around Changy there is quite a big cluster of those sort of buildings, but our latest visit has reduced the number of buildings to be visited considerably. The first map in this blog shows all churches in the area; the second shows today’s status. Having said this, the pictures are a bit distorted by the fact that I have removed an occasional church of the second map, because there is no information at all about that church available. Often the building has most likely been demolished completely, or it may be recognisable from a window, which is all that remains in al old building, but in which building? 1. 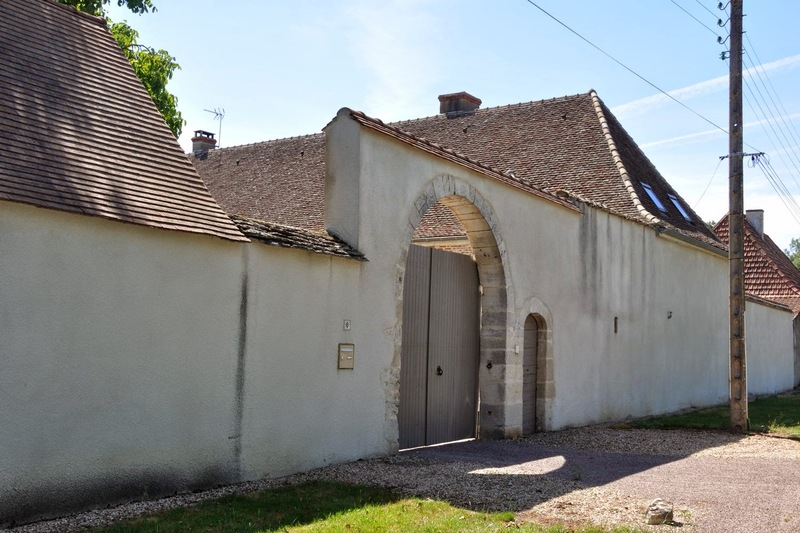 Givry, Cellier aux moines, a bulding which was findable, however, it was located on private property, and it could not be approached. 2. Fontaines, the village church. The key was not available at the mairie, but they phoned the key keeper for us. It turned out to be the only building we saw from the inside, with hardly any Romanesque remains. It was assessed at 1 star after our visit. 3. Fontaines, chapel. At the mairie they explained us where it could be found. It turned out to be private property, behind a wall. 4. Rully, the château. It could be visited, but the only Romanesque part was the donjon. And to pay € 8 entrance fee just to see a donjon…. 5. 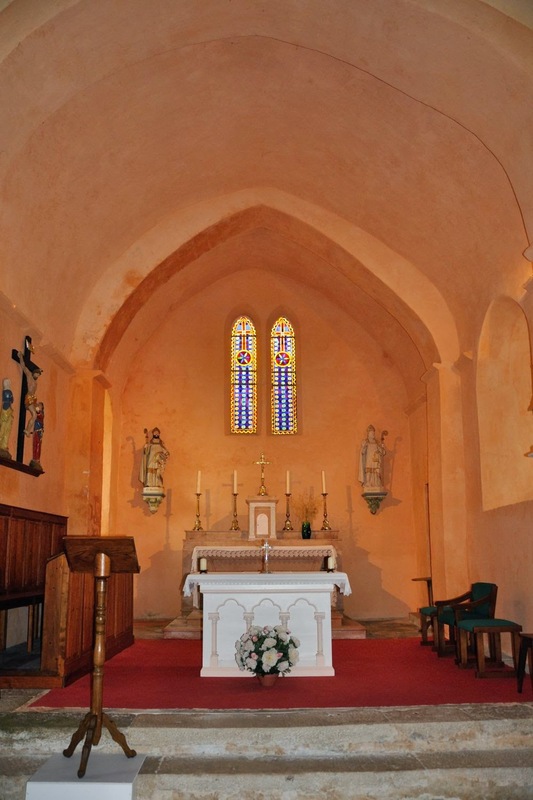 Agneux (Rully), chapel. Also on private property, hence not to be visited. 6. Maizières, building of a former abbey. All buildings were obscured by a tall stone wall, and hence invisible. Maizières : wall around the abbey? 7. 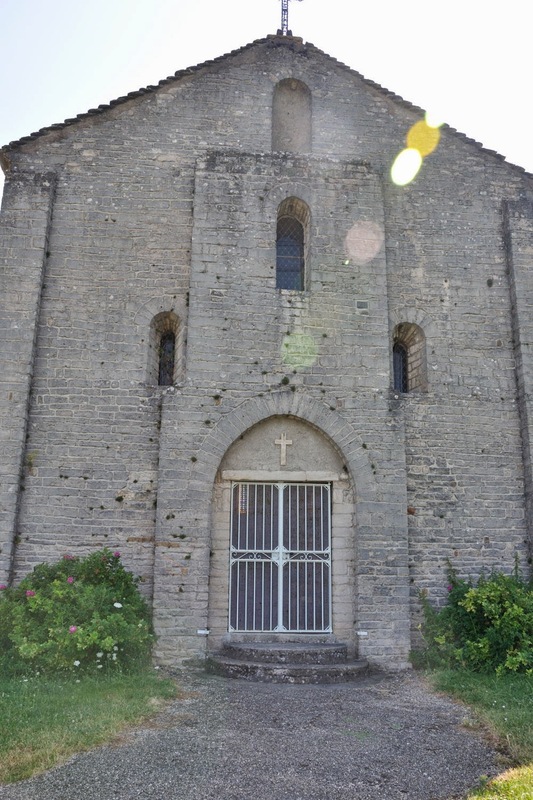 Saint-Loup-de-la-Salle, a 3-star church I did not know. Unfortunately closed, hence it will stay on the map a little longer. Churches visited a long time ago : Germolles, Chagny, Farges-lès-Chalon, La Loyere, Lessard-le-National, Bouzeron, Mellecey, Touches. Canceled, because not wotrth seeing : Saint-Martin-sous-Montaigu. 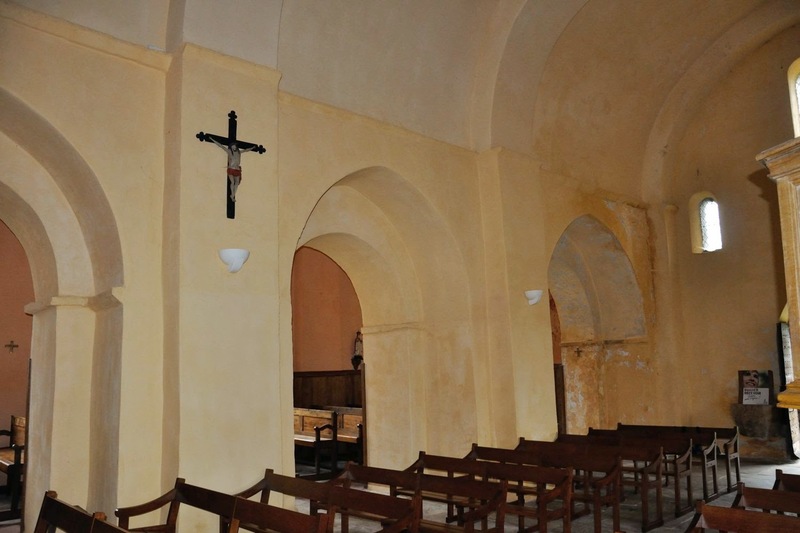 Saved for a next visit : Remigny, Chaudenay, Saint-Loup-de-la-Salle (interior), Mellecey (interior). Well, we are getting there slowly!